Growing up in Calgary, Teddy Seyed wasn’t the biggest in stature to go far as a hockey player, although he possesses grit and desire in abundance. He also dreamt of becoming a comic book artist, but then he met Spawn creator Todd McFarlane, and saw what a comic book legend’s work looks like. In other words, Teddy was like a lot of young Canadians growing up: caught somewhere between living a creative life and a hard place, with no prospect of ever joining the NHL. The one thing Teddy had going for him—besides grit, desire and imagination—was that he’s also pretty brilliant. That allowed him to eventually enrol in a PhD program in the Department of Computer Science at the University of Calgary. However, taking the traditional route to a PhD—completing a doctoral thesis that is thoroughly researched and written, taking several years to complete—seemed a little slow for a subject like computer science and in the field of technology, which rockets ahead, rather than advances at the speed of doctoral writing. And even though the word philosophy was there, in his doctorate, Teddy knew he possessed the type of intellect that learns best by doing. The cool thing about computer science is that it allows you to do exactly that. Teddy had already won the Innovation Academy competition a few years earlier, created by W21C, a University of Calgary health care systems research and innovation initiative on campus, so he knew a thing or two about transforming theory into practice. Working with his supervisor, Dr. Frank Maurer, the Hunter Centre for Entrepreneurship and Innovation, a number of mentors, and the blessing of the University of Calgary, Teddy shifted his doctoral studies into an entrepreneurial thesis. It’s all part of the foundation the University of Calgary is building to become the go-to university across the country for entrepreneurially-inclined students, who learn everything from pitching a product for venture capitalists to building a prototype to marketing and building the brand. Following this entrepreneurial mindset, Teddy had an idea for a consumer product with a twist: a reconfigurable dual face smartwatch he called Doppio. The twist? Rather than marketing Doppio to consumers, Teddy and his co-creators (Xing-Dong Yang and Daniel Vogel) plan to market it to medical professionals, where it could conceivably improve communications between medical teams and facilitate the transmission of medical information. The journey of Doppio from a PhD project to a potentially breakthrough product has been a combination of best-laid plans meeting market realities and all of it being spurred on by social media. Then, Doppio landed on the front page of Gizmodo, a popular tech website, landing Teddy firmly in the eyes of the tech universe. Prior to pursuing his doctoral studies, he was in the sights of Microsoft and other tech companies, all of which he eventually turned down. He later won a prestigious Google scholarship and visited their campus near San Jose. He is exactly the kind of creative mind that grows up in Canada, gets discovered by Americans and leaves, like other Calgary tech kings such as James Gosling (who invented computer language Java) and Garrett Camp (co-founder of Stumbleupon and Uber). What makes Teddy’s creative life different is that despite being pursued by Silicon Valley’s big dogs, he’s doing his best to stay put and help transform Calgary into more of an innovation centre than it already is. 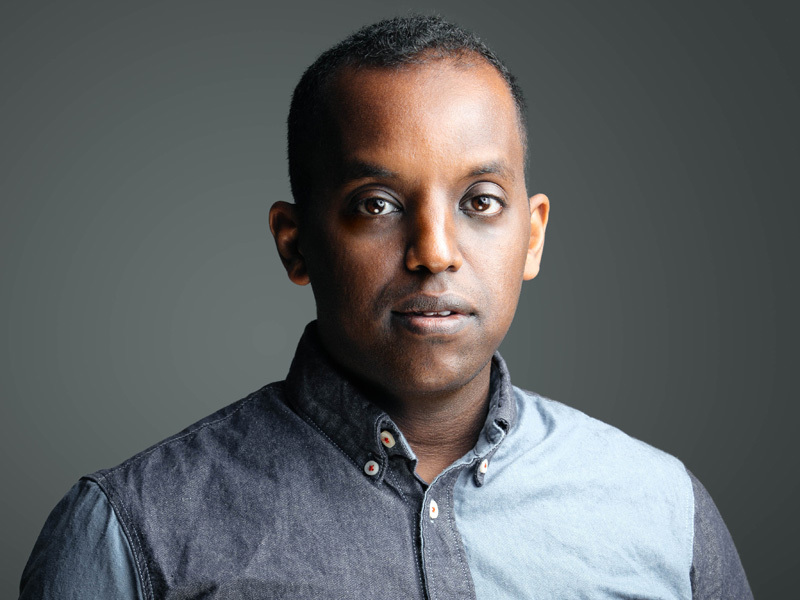 Part of that determination to stick around is a result of Teddy’s positive experiences working in the Calgary community, particularly with Shannon and Maria Elena Hoover of MakeFashion, a world-leading Fashion-Tech company, who got him involved in Calgary’s wearable tech community and eventually led to several transformative trips to China. About a year ago, Teddy flew there along with Shannon and the MakeFashion team to participate in MakerFaire Shenzen. While they were there, they wanted to see if there was someone who could help build semi-autonomous robotic arms for a Fashion-Tech piece the team had started in Calgary, but wanted to take to the next level. It was at the MakeBlock headquarters in Shenzhen, that Teddy met a young Chinese Engineer—and a former designer—named Dolphin Guan, a young woman who happened to speak English. Within a day, Dolphin and a team of engineers had helped Teddy complete two prototypes of robotic arms in an astonishingly quick period of time. He arrived at the factory with drawings on a Tuesday morning. 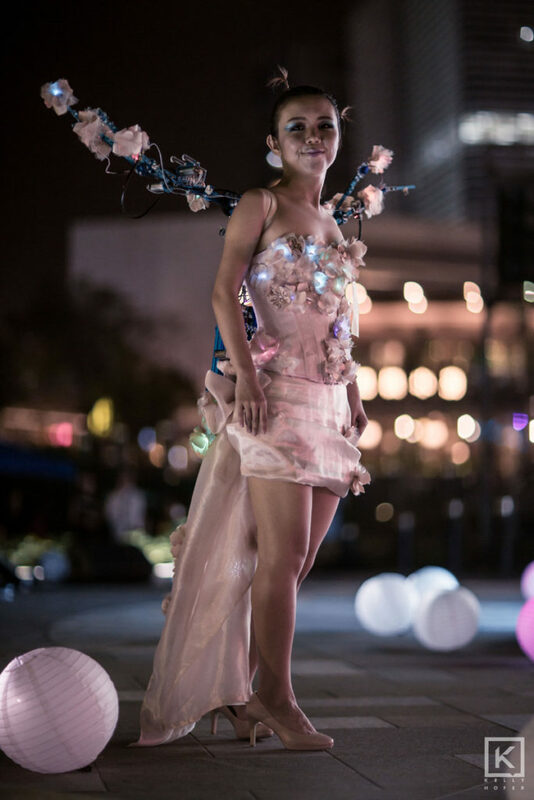 By Saturday evening, Dolphin was modelling the robotic arms at a fashion show at MakerFaire Shenzen, where she and the arms were a big hit. The bonus, for both Dolphin and Teddy, was how good the experience made her feel about herself. In a male-dominated Chinese tech world, she’d made a huge emotional and professional breakthrough—which she posted about on WeChat, the Chinese equivalent of Facebook and other social media platforms. That led Seyed to thinking there were as many emotional benefits to technology innovations as there were economic possibilities. Now, with an injection of seed funding from Google, Teddy is working on pairing 20 Calgary women with various Calgary tech innovators to work together on wearable pieces, all in anticipation of having it be part of next year’s MakeFashion show in Calgary. Meanwhile, Teddy has also been working with Kris Hans and Sonny Shoker, from Market Grade, a Calgary-based interdisciplinary consultancy bringing together creativity, design, innovation, and strategy, to help make the Doppio smartwatch market-ready, as well as other Calgary innovations. Recently Teddy was at a Google’s I/O conference and pitched Market Grade’s Access Everywhere initiative to bring awareness to the issue of accessibility, which also caught Google’s attention. (He also partied with Netflix people.) Hans—in addition to his role as one of the founders and driving forces behind Market Grade—is also the Entrepreneur in Residence at W21C, and teaches business courses at both University of Calgary and Mount Royal University. The one thing Teddy can’t change? Hollywood’s betrayal of all short guys, when they cast tall guy Hugh Jackman as Wolverine. And if he can’t get a do-over as a comic book artist, Teddy still says it’s no secret why it’s important that he continue to live his highly creative life.